Jumpin' Jack Flash... it's a Gas Gas Gas Station! 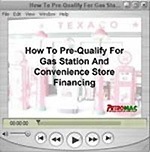 There are tons of gas stations and convenience stores for sale but where can I get a gas station loan? Oh yeah, how about the price of fuel these days! Declining gallonage... declining pool margins... better deal with someone that knows the industry! Banks in general do not like to finance stations and convenience stores for the following reasons. Petroleum retail is a "cash" business and verifying cash flow is more difficult than other commercial income producing properties such as apartment buildings and office buildings. Petroleum retail has perceived environmental risks that are not present in many other types of commercial properties. It is much easier to evaluate a loan where there is significantly less perceived environmental risk. 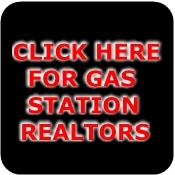 Gas stations and convenience stores pose a larger problem for lenders if properties are ever foreclosed on. In the case of many income producing properties, at a minimum the lending institution can inspect the rent roll and continue collecting rents until a suitable buyer is found. Banks do not step in and run gas stations and convenience stores in the case of default. Let's not forget to add that gasoline fuel margins have been their lowest in years due to ever increasing numbers of hypermarts and big box retailers who do not care about fuel margins, but only to bring people in their door. Read the paper lately and looked at the price of a barrel of oil too? It's no wonder you get a quick NO from your local bank. 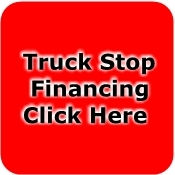 Many operators, dealers and small jobbers have been in the past funded by SBA loans. Many banks LOVE to do Small Business Administration (SBA) loans because the federal covernment guarantees 80% of the loan AND the banks also gets a servicing fee to service the loan. The SBA is guaranteeing a lot less loans than they used to. Gas stations and convenience stores are much worse. The secondary market for selling SBA loans has virtually dried up so only the larger banks can afford to lend to and service their portfolio. Many of the large SBA lenders have either stopped lending temporarily or have exited the SBA arena together. If you research enough, you'll find that only a fraction of gas station and convenience stores are being done now. 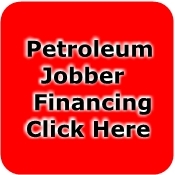 This is also compounded by the fact that most franchise lenders for petroleum lenders are either no longer in business or their portfolios have been bought by other franchise lenders that no longer lend on petroleum properties. Did I happen to mention that defaults on gas stations and convenience stores have been at all time highs? Sorry, I digress. Guess what? It's even more difficult to get a conventional loan from your bank. Why is that? 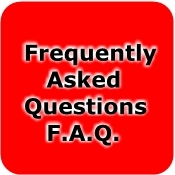 Because your local bank will usually offer a shorter amortization period (A normal SBA loan will offer up to 25 year loans, fully amortized, as opposed to a 10 year balloon amortized over 15 or 20 years) Banks usually look for a higher debt service coverage on a conventional loan than on an SBA loan. Why could that be? Could it be that government guarantees on an SBA loan makes them more aggressive? 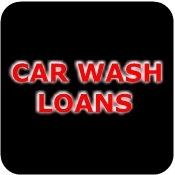 The fact remains, each dollar purchases 20-30% more in loan amount with an SBA loan. (If you're REALLY hell bent on having conventional financing and paying the additional amount, you can also pay the difference on an SBA loan and pay your prinicipal off earlier) Your calculator and spreadsheets will never lie to you. I am not suggesting that an SBA loan is or isn't your best option for financing. It clearly is inappropriate in many situations, especially on larger transactions. What am I suggesting is FACT is different than PERCEPTION when it comes to financing petroleum retail properties. How do you think your chances are looking now? To further complicate the issue, almost all lenders have certain types of "hot buttons" that they look for. Some only are concerned about the actual value of the property. Others look at cash flow. Still others focus in on certain indexes such as fixed coverage charge ratios, debt service coverage ratios, cap rates, borrower liquidity or other impressive sounding polysyllabic banking terms. How Do You Know Who Focuses On What?? We could take each one of these criteria and discuss them, but we will focus in on some of the more important issues for those obtaining financing. Collateral has become more of a hot spot for many lenders today. Most lenders will discount an appraisal 20-25% on the actual real estate value, 50% on the machinery and equipment and frequently up to 90-100% of the good will. Let's assume you're purchasing a convenience store with real estate for $1,000,000 and you are looking to put a $200,000 down payment towards the purchased. You may have an appraisal on the property indicating a $1,000,000 value, but the bank is looking at it as a $700,000 property on a liquidated basis and looking to YOU, the borrower, for additional collateral. (You can pick your jaw up now) Does this somehow seem unfair to you? Let's say you took out a home equity line from your home as part of your $200,000 down payment. You're thinking "My lender will like this because it's my own hard earned money" WRONG. Even though you DID pay the principal on the house down, your friendly lender looks at it as another loan (which technically it is) so they have to factor paying back THAT loan also in the approval process. To complicate matters, the lender community has a very "monkey see, monkey do" mentality when it comes to defaults and environmental issues. If they heard about a gas station that had a huge spill and a bank had to pay for the cleanup, it send ripples of fear into the banking community, because they tink that might happen to a property in their portfolio. The fact is, their fears are frequently overrated and unfounded based on a lack of understanding of the system. The fact is that when either leakage or spillage occurs on a site, the average cleanup is less than $50,000. The FACT is almost all States have healthy LUST funds or funds allocated for cleanup in the case where insurance falls short at the time of the leakage or spillage. The FACT is that most cleanups do not even require a gas station or convenience store to close down for a site to be remediated. We really could go on and on about the challenges that people face in financing their locations. Suffice it to say that theye exist. What should you as a borrower look for and expect from the people looking to procure financing for you? First of all, an absolute thorough understanding of petroleum retail AND commercial financing is absolutely necessary. If you needed heart surgery, would your first preference be a physician who is a general practitioner? If you needed a root canal, would you prefer someone who specializes in root canals and does them DAILY or someone who did all types of general dentistry? 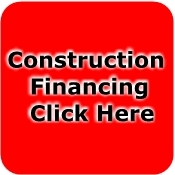 Don't you find it ironic that wemight insist on a specialist for a root canal that costs $1,000, yet we'll deal with a generalist when it comes to financing our commercial property that might be in the millions of dollars? Specialists will almost always outperform generalists in anything in life. And this is just about the FACILITY, much less the credit or experience of the borrower, how the property cash flows or other important factors. The list is actually MUCH longer than this. You should INSIST that the company you deal with offer multiple types of financing such as SBA, conventional, short term and hard money. Third, deal with people that can offer or find options for finding additional capital into the transaction. Whether that is a seller held second, equity provided by a fuel supplier, joint ventures, mezzanine financing, among others, the large real estate moguls of the world look for creative financing, why shouldn't YOU? 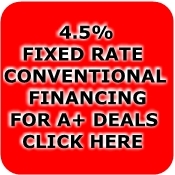 Fourth, when looking for a company to do your financing, make sure that THEY deal with other companies that specialize in this industry also. There are petroleum attorneys, insurance companies, accountants, contractors and vendors that deal exclusively or high degree of specialization in petroleum retail. You as the borrower should deal with companies that not only can provide the financing for you, but also provided value added products and services to make you more profitable. Fifth, when looking for your loan, deal with people that know the difference between cost of money and return on investment and not just the cheapest rate and the lowest points on a deal. Again, your calculator will NEVER lie to you. Frequently the cheapest rate or the lowest points is NOT the best deal. Sixth, deal with companies that are active in the respective industry organizations so they are up to date with the latest trends, technologies, etc. Uncle, Uncle... we surender! We Get The Idea... We'll apply for a loan here! 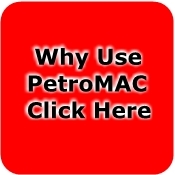 So Who Is PetroMAC And What Makes THEM So Good? Above all else, we have a clue when it comes to financing petroleum retail properties. Third, we have the ability to engage other parties with an economic interest in petroleum retail to team with our borrowrs to bring a loan to its fruition. Whether that be a petroleum supplier providing equity and/or equipment into a transaction, parties interested in doing joint ventures with borrowers or lenders providing mezzanine financing to make sure that "make sense" deals get done. Too many good deals with good borrowers are being overlooked because it does not fit in many lender's "box." Molds are for concrete and jello. We look for conventional and unconventional means to get these transactions done. Count on years of experience and creativity to provide solutions to your unique needs. Why do you need an insurance specialist for your business/property? Fifth, we have a lot of different options to provide you with the lowest cost of capital. 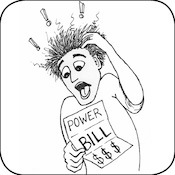 Again, the lowest rate and the cheapest points are frequently not your best option. Sixth, we are active in the organizations that assist petroleum marketers in all facets of their business. This helps us help you by keeping you advised and updated on industry trends. We hate to disappoint you, but we don't get all deals done. Frequently the speed of the loan approval is in direct propotion tothe organization (or lack therof) of the borrower or broker. Some borrowers omit telling us facts that they feel are not pertinent. Trust me, we will most likely find out and they ARE pertinent. It's the honesty as opposed to full disclosure approach. Because of the nature of the industry, environmental issues will be discovered from time to time. It is EXTREMELY important to disclose any present or past environmental issues, no matter how small you might feel the issue is/was. The sooner we find out, the sooner it becomes a non-issue. Finally, some deals are just bad deals. Don't expect us to put lipstick on you a pig. CLICK HERE TO LEARN ABOUT ONE OF THE FASTEST GROWING TRENDS IN THE COUNTRY. OFFER YOUR CUSTOMERS A PRODUCT THAT THEY USE EVERY MINUTE OF EVERY HOUR OF EVERY DAY! 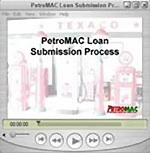 So How Do You Apply For A Loan With PetroMAC?? In order to pre-qualify loans faster, we have found that providing a certain amount of information up front helps us expedite the underwriting of a loan. If a borrower can provide us with the following information, it would help us a great deal. 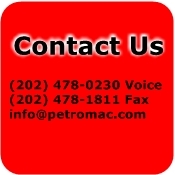 You can click the underlined links and find the form on the PetroMAC website. After we have pre-qualified a transaction, this is the document checklist that we go by usually when doing purchase financing, refinances, construction and investor owned purchased. 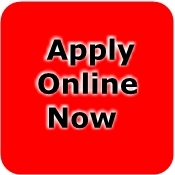 All application forms are available here on the PetroMAC website. Please click this link to view videos about properly submitting for pre-qualifying and for full underwriting. Once you have begun the formal prequalification process, we will begin to provide free information to you to further assist you in not only your financing efforts, but more information about running your business profitably.